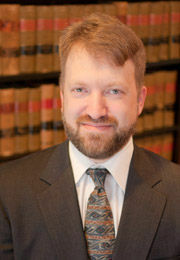 Kevin K. Russell specializes in appellate practice in the federal courts, particularly the U.S. Supreme Court. He has argued twelve merits cases in the Supreme Court and served as counsel or co-counsel in nearly 50 others. He is currently an instructor in the Harvard Supreme Court Litigation Clinic, and previously was an instructor in the Stanford Supreme Court Litigation Clinic for eight years. Early in his career, Kevin clerked for Justice Steven G. Breyer. Today, Kevin regularly represents individuals, businesses, trade associations, and public interest groups before the Court on a wide range of issues, including questions of criminal law, civil rights, constitutional law, class actions, labor law, antitrust, energy law, international arbitration, consumer protection, religious freedom, international human rights, election law, national security, immunity, jurisdiction, and other matters. For example, he recently prevailed in a criminal case addressing the mental state required to convict a defendant under the Controlled Substances Analogue Act. Previously, he successfully represented a class of terminated employees bringing age discrimination claims on a statute of limitations question, as well as a class of consumers bringing claims under the Fair Debt Collection Practices Act. In his first argument at the Court, Kevin represented Lilly Ledbetter in a wage discrimination case that resulted in a 5-4 loss for his client. He then assisted Ms. Ledbetter in testifying before Congress in hearings that led to the bipartisan enactment of the Lilly Ledbetter Fair Pay Act, which overturned the Supreme Court’s decision. A Reuters study identified Kevin as having been counsel on more successful petitions for certiorari in the past decade than any other lawyer in private practice except his partner, Tom Goldstein. He has also been listed as among the ten most experienced Supreme Court advocates in current practice who have not worked for the United States Solicitor General’s office. 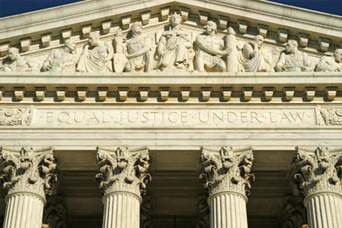 Kevin regularly provides commentary for national news outlets regarding the Supreme Court and is a contributor to SCOTUSblog, a website devoted to covering the Court. In the courts of appeals, Kevin has represented clients in significant cases involving patents, telecommunications, class actions, mass torts, constitutional rights, international trade, punitive damages, and other issues. For example, he recently argued before the D.C. Circuit on behalf of public interest groups and internet companies challenging the FCC’s repeal of net neutrality rules, after having successfully argued in support of the original rules in 2015 (and successfully resisted attempts to seek review of that decision in the Supreme Court). Previously, he represented thousands of police officers, firefighters, and construction workers injured during the cleanup of the World Trade Center disaster site in a case that ultimately resulted in more than $800 million in relief for the plaintiffs. Kevin also successfully argued on behalf of the California Insurance Commissioner for vacatur of a district court decision overturning a jury’s award of $700 million in punitive damages in a case involving massive insurance fraud. Kevin is an elected Fellow of the Academy of Appellate Lawyers. Prior to joining the firm, Kevin worked in the Appellate Section of the Civil Rights Division at the U.S. Department of Justice. In that capacity, he represented the United States in more than thirty-five civil and criminal cases in eleven federal courts of appeals, presenting oral argument in more than two dozen of those cases. Kevin clerked for Justice Stephen G. Breyer during the Supreme Court’s October Term 1995. He also served as a law clerk to Judge William A. Norris on the U.S. Court of Appeals for the Ninth Circuit.